Next to the foundation, the most important structural element of your home is the roof. It does more than shield you from the outside elements; it shields your home’s heating and cooling, electrical and plumbing systems, and your prized possessions. It’s no exaggeration to say that a structurally sound roof could save your life. This is why the National Roofing Contractors Association recommends homeowners conduct two self-checks per year, either from ground level or a second-story window, as well schedule one professional roof inspection per year. Beyond regular inspections, three conditions should motivate you to consider calling an experienced roofing company for immediate repair. Tile roofing can last for decades which can be both good and bad. It’s great because you most likely won’t have to replace the roof, which saves you money. However, you’re also tied to the same roof for all of those years. The good news is it’s possible to update your tile roofing without going for a full replacement. Shingles are the most recognizable type of roofing on the market today. They’re on nearly every residential home and lots of businesses. Just because they’re so common, though, doesn’t mean that everything about them is common knowledge. Here’s what you need to know to stay in tune with your shingle roof. Every roof goes through a lot in the course of a year. California roofing has a lot of heat to deal with as well as storms that pass through and whatever debris blows up in that area. 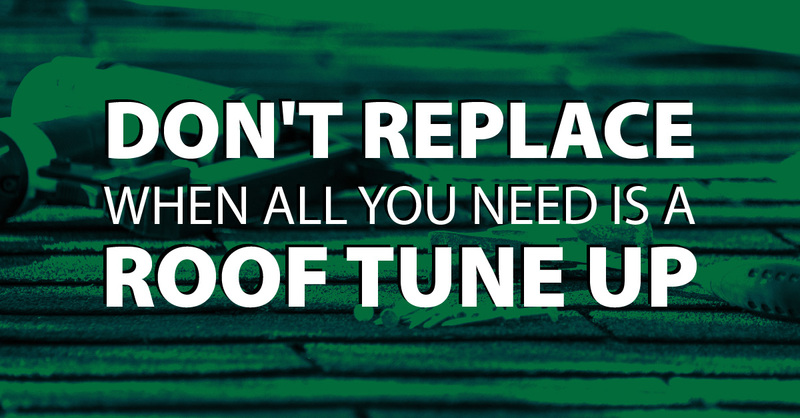 Getting a Go Roof Tune Up is never a bad idea. You can ensure your roofing is good to go for another year or head off major damage with small repairs. Here are three things you’ll get inspected during the tune up.